You guys, this week marks the halfway point of the One Room Challenge. I’m not gonna lie, I’m kind of freaking out a little about that. While I am happy to report that the crown molding is installed, I still have so much to accomplish. The crown still needs to be painted, I’ll share more about that next week. This weekend we will be installing flooring in the room, I will feel better when that project is complete and I can move on to other details. Right now, the contents of my daughter’s room are all over the house. Last week I showed you the beautiful desk I bought for the space. I’ve been working on putting together somewhat of a gallery wall for above the desk area. 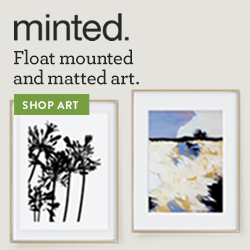 I’ve been collaborating with Minted.com* on wall art for the space. I had my daughter look through the website and pick out what she liked. She fell in love with this Marin Cows Print right away. Since I’ll be adding a pop of green into the room with a sliding barn door, the cow print will compliment that perfectly. We are going to display the artwork on these Artful Shelves. The beautiful wood tone on these really caught my eye. We decided two of these shelves would look best over the desk. Next we needed one more art print to go with the Marin Cow art my daughter chose. I made a few mach-ups in Photoshop to see which we liked best. First we looked at this Rural Midwest print, but decided the overall color wasn’t going to work in this space. This Three Oaks Barn Art Print was my top pick, but I had to rule it out because I didn’t like both art prints being oriented horizontally on the shelves. Lastly, I tried this print, called Weathered Barn and decided this was a perfect fit. I also liked the look of the shelves being equal in length as opposed to staggering them. You can see from my photos above, that I plan to add a chalkboard on this wall as well. I showed you on Monday how I made a customized magnetic chalkboard to hang to the left of the shelves. Here is a closer look at the Weathered Barn wall art. These shelves were so easy to hang. I had them up on the wall in about 15 minutes. I picked up the desk organizer shown on the desk to help keep my daughter organized. To say she tends to be a little messy is the understatement of the year. This is all I can show you of the space for now, I took the shelves down until the construction projects (crown molding, painting and floors) are complete. As you can see from my list below, we did knock a few things off of it. My husband hung the new chandelier. He also built a sliding barn door for the space, but I need to install the floors before we put that in. One thing I’m really struggling with is finding a new headboard for the space. Every time I find one I really like, its either the wrong size or it’s on backorder. If you missed previous weeks of my One Room Challenge bedroom makeover, you can catch up below. 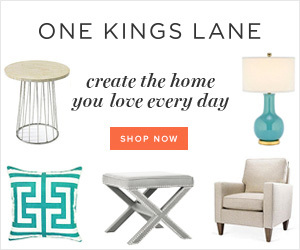 Week 6- Bedroom Makeover Reveal! *Thank you to Minted.com for sponsoring this post, all opinions are 100% my own. This post contains affiliate links, you can read my full disclosure policy here. Love the wooden shelves! Where did you get those? Also, the painting looks dainty and cute. Can’t wait to see the rest of you space Roxanne! Thanks Emmerey Rose, the shelves are called “the artful shelf” and are from Minted.com. I love the idea of putting the artwork on the shelves instead of just hanging them! I’m so curious to see what headboard you end up with! Thanks Sam, at this point I’m curious to see which headboard I end up with too, lol. Thanks Nicole, the shelves really are beautiful! I love this look, the wood makes it look so rustic and has a contemporary vibe to me. Thanks Maria, the rustic wood tone on the shelves is really beautiful! I love the combination of the wood shelves with the farmhouse-style prints!